This plan is a written set of rules that decide the trader’s entry, exit and money management criteria. Technology allows you to test the feasibility of the plan before even you should stick to it. Trading outside of plan is considering as poor trading. Moreover, it reduces the expectation of your plan. Trading comes with expenses, losses, taxes and uncertainty. Unlike a job, there are no regular payChecks. trading involves stressing a risk. When you treat it like a business, your focus will be on maximizing potential earning grounded on research-based strategies. A “stop loss” is a pre-defined amount of risk that you are willing to accept for any given trade. You could set it as a currency amount or as a percentage of your trade. By enforcing this, you will be minimizing your exposure during trading. Range trading: Following the spread of high and low prices traded is very useful in indicating entry and exit point for traders. Hence this takes you closer to making accurate calls. Contrarian trading: Here you buy assets that are performing poorly and then sell when they perform well, but have an “underserved ” drop in price. Despite good intent, unsuccessful trading or poor adherence to planning may happen at times. But it does not mean that it is the end of trading. No matter what strategy you adopt, knowing when and where to stop will help you make necessary changes before continuing. This approach will also help you invest and trade smartly. 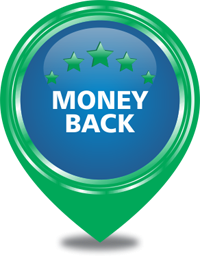 Is it worth it to go with Enrich for a low brokerage? The answer is inevitably yes. Enrich offers the lowest brokerage in the trading industry. The plans are designed to suit the traders and reduce their cost involved in brokerage for transactions. 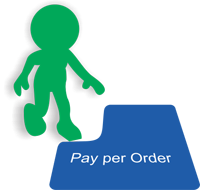 Enrich always makes it clear to its customers in this regard with its transparent business modules. The feedback received from traders, sub brokers and public in general is very positive with reference to the plans that Enrich offers. Enrich is not only best for lowest brokerage, Enrich best in Customer support. 1. Simplified attractive market watch. Market Hunt is the most advanced online trading software. Market Hunt is a user-friendly trading platform like NEST. Market Hunt watch look like NEST. 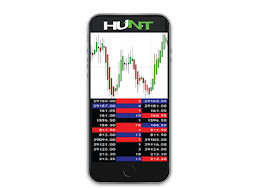 Market Hunt has many amazing tools for analyzing market movement. Unlike other trading platform Market Hunt has Charting tool. Through the market, one can watch two different scripts chart with the Market watch at a time. Beginners trade only based on observations of Indicators and brokers call. But experts observe the previous market open and close. Market Hunt has a special tool with the previous market open and closes with loser and gainer among the scripts. For a normal trader a single chart is enough but for an aggressive trader, a single chart is not enough. Because he always places orders in my scripts at the time, for that he had watched all the scripts at a time. 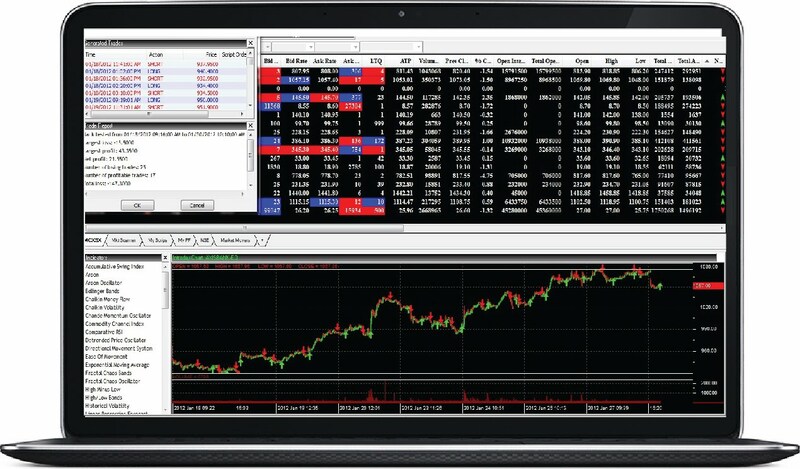 Market hunt has a multi charting tool which enables a user to watch four different script or different time frame. Market movement is based on the demand and supply as well as lesser and more gain in certain scripts. Indicators are one of the most important features for understanding the market movement. Market Hunt has 70 advanced indicators including Super trend, Bollinger Bands, RSI, MACD, Stochastic Oscillator etc. Signals help the beginners traders for taking a safe decision(Buy or Sell). Market Hunt best 5 signals, SMA-Simple Moving Average, RSI – Relative Strength Index, MACD -Moving Average Convergence Divergence, Bollinger Bands, Super Trend. Aggressive traders take decisions at any instance if funds in the current trading account is not enough to carry trade, he must make payment through any payment server, But Enrich Market Hunt has PayIn facility in Funds options, through which one can make his payment, default exposure limits will be added whenever fund transfer in his trading account. So he can carry his trade within a minutes. A basic guide to swing trading strategies: Day traders and swing traders are the two categories of traders. A day trader finishes off his trade in a single day and the swing trader continues it for days weeks or even months. A day trader need not worry about the changes that may take place during non-Market hours whereas a swing a trader should constantly watch out for the impact of unexpected news or economic announcement. But swing traders are able to reap higher profits for they are prepared to wit for long and able to take advantage of the ups and downs of the pre-market session. The ability to identify the support and resistance levels and the trend of the market are the major trading techniques of swing trading. Swing trading forex along with the swing trading swing trading forex along with the swing trading indicators gives an added the advantage over trading. Very popular and widely used indicators to gauge the market is moving average. Relative strength Index: This is also, a popular tool used to find out if the market is overbought or oversold in trend. Swing trading software can be used to have access to trading indicators. But, it should be remembered that these indicators are lagging and cannot be used blindly. Trading requires a lot of knowledge and in-depth analysis, and the market is so volatile that you need the advice of an expert before investing your hard earned money. An option is defined as a “contract giving the buyers the right, but not the obligation to buy or sell an underlying asset a (stock or index) at a specific price on or before a certain date”. It is a derivative for it gets its value from an underlying asset. Stock options the index or equity. While options have expiry dates and there are no specified numbers. It is of two kinds namely call and put. The best way to trade options is to understand the following trading strategies. This is a strategy opposite to long call options for an investor uses it when he feels bearish and experts the price of a share uses it when he feels bearish and experts the price of a share to rise. If the trader opines that the stock is not volatile and tries to get the option the premium on two contracts, he follows this strategy. A customer uses this strategy when the stock is very volatile but the rise and fall cannot be predicted. Binary options trading means the risk a trader places on whether or not a particular asset will rise in its value at a certain time. These the strategy used either in combination or separately help in getting the most expected profit. But the customer has to be choosy and based tools like options calculation he can select on what to invest and be ready to quit when things are in favorable position. TheNational Stock Exchange of India (NSE) is the top stock exchange located in Mumbai. It's market capitalization is over $1.65 million. It occupies the 12th position in the world’s stock exchanges. Except on Holidays, it has transactions on all five days of the week. Asset management companies, index funds world indices, unit-linked products, and derivatives have their trades here are some strategies that can be used when trading on the NSE. Index trading is a means of reducing the loss to one's portfolio by diversifying one’s investment portfolio by diversifying one’s an investment over different shares of different countries. It includes strategies like hedging strategies, speculative strategy, and arbitrage strategies. Swing trading is a combination of investing and intraday trading, where an investor makes use of shortly lived price swings in stock with strong momentum over a period of time. A very challenging kind trading and may not be everyone’s cup of tea, A trader needs a fast trading terminal and back to be successful in this trade. Investing on a restricted number of shares minimizes one’s loss and enhances profit. The goal of all these strategies is making profit, so you should know when to quit and tools like Nifty Chart help you in hassle Free trading. This is a strategy that forecasts the value of an asset in the future corresponding to an index or commodity. The strategies involved by investors working towards their advantage include going short, long and spreads. Here the trader agrees to sell his asset at a high price and buys it back when the price falls. In this investment also the trader enters into a contract to buy and deliver an asset at a fixed price and buys it back when the price falls. The most conservative and safe from if trading is spreading investments where the customer utilizes two individual contracts with price differences for the same commodity. No generic strategy is comprehensive but they can surely help you in starting futures and options trading if you want to be successful in investing always have a backup strategy. But at the same time, you should strictly adhere to those strategies.